ISIS extremist group’s militants are “living their final moments” in the last enclave they hold near the Iraqi border, where US-backed Syrian Democratic Forces (SDF) are attacking them, an SDF official said on Sunday. A defeat of the extremists in the enclave would wipe out ISIS territorial foothold on the eastern bank of the Euphrates River. A spokesman for the US-led coalition said the SDF were making “great progress ... but the fight continues”. 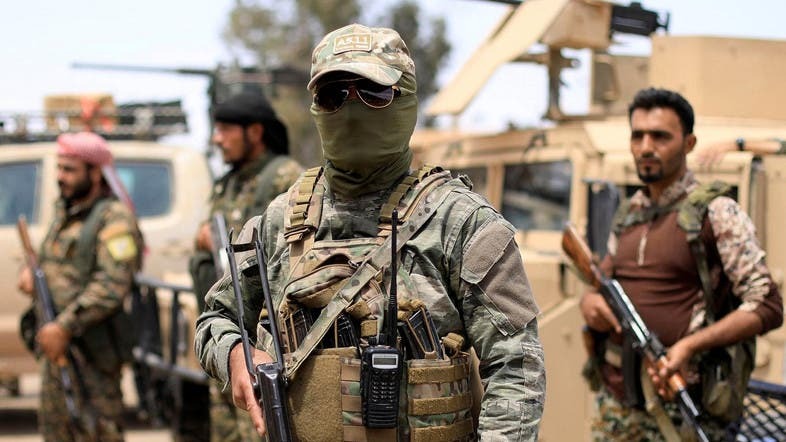 The Syrian Democratic Forces (SDF), a coalition of militias led by the Kurdish YPG, have driven ISIS from a swathe of northern and eastern Syria with the help of the US-led coalition over the last four years. Mustafa Bali, SDF media office head, said the SDF had stepped up attacks in the last two days and taken control of the area between ISIS enclave and the Iraqi border, cutting an escape route. US President Donald Trump last month announced he would withdraw US forces from Syria, declaring they had succeeded in their mission to defeat ISIS and were no longer needed. Since then, US officials have given mixed messages. On Friday, the US-led coalition said it had started the pullout, but officials later said only equipment, not troops, were going. Colonel Sean Ryan, the coalition spokesman, said: “The SDF is making great progress and continues to liberate more territory once held by ISIS, but the fight continues. The US decision has injected new uncertainty into the eight-year-old Syrian war and spurred a flurry of contacts over how the security vacuum will be filled in the swathe of northern and eastern Syria where the US forces are now stationed. US national security adviser John Bolton suggested last week that protection for Washington’s Kurdish allies would be a precondition of the US withdrawal. Turkish President Tayyip Erdogan called his comments “a serious mistake”. Bali said the people of northern Syria and the coalition must discuss a plan for “after the elimination of Daesh (ISIS), and to take measures to prevent Daesh reorganizing itself and returning once again”. ISIS still holds territory on the western bank of the Euphrates, between areas controlled by the Syrian government and its Russian and Iranian-backed allies.